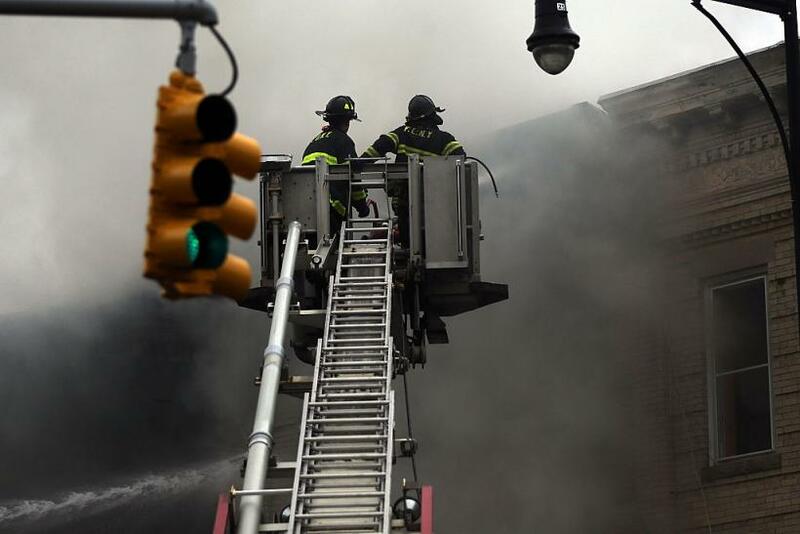 An apartment at Schenck Ave. in Brooklyn, New York has been engulfed in flames. A fire that lasted for over an hour has finally been extinguished on Monday evening after reports of a two-story apartment catching fire was sent just a few minutes before 7:00pm ET. Fire respondents have confirmed the fire to start at the first floor, but initial reponders had problems with frozen fire hydrants. The fire department had transmitted a fourth alarm shortly after to request for more engine backups and relief units to help put out the fire. According to Citizen.com, the fire has spread to the second floor and roof of the building. Three units were initially dispatched to the scene, but more were required to contain the fire. All residents of the apartment were quickly evacuated. The FDNY noted that there is only one report of a non-life threatening injury so far. FDNY Recuperation and Care (RAC) Units were also at the scene to assist the firefighters and residents. Videos of the fire have spread on social media showing the building in flames with heavy smoke conditions. A travel advisory was issued with the fire in danger of spreading to nearby buildings. At 9:00pm, the firefighters announced that the fire has been extinguished and placed under control.